Jeff Heck, "Mansfield's Injury Lawyer," has extensive legal experience handling all types of injury and wrongful death cases and insurance claims of many kinds. He also handles civil commercial litigation and labor and employment matters representing both employers and employees. He is a court-trained Mediator and has also served as an appointed Mediator for the Richland County Court of Common Pleas, as well as a private Mediator and Arbitrator selected jointly by other attorneys in numerous other cases and disputes. Jeff has his roots in North Central Ohio. He grew up in the Mansfield area and graduated from Malabar High School. He is also a graduate of The Ohio State University where he was a 4 year member and a Squad Leader of The Ohio State University Marching Band. He graduated with Honors from The University of Florida College of Law. He has over 30 years of extensive courtroom and other legal experience and is admitted to practice law in the courts of both Ohio and Florida, including various federal district and appellate courts. Jeff began his legal career with a very large Florida law firm. He then returned to Mansfield in the late 1980's to help people in his hometown and in the region where he grew up. He is a strong believer in the idea of "giving back" to the community. He believes strongly in his community and, in addition to his law practice, has put his time and energy behind many non-profit organizations to try to improve it. In 2001, he was elected to the Lexington Local Schools Board of Education where he served 4 elected terms as a Board member, including Board Vice President for several of those years. He is also the Past Board Chairman and Board Member of Renaissance Performing Arts Association and the Rehabilitation Services of North Central Ohio. He has served as President of the University Club of Mansfield and the University Club Educational Foundation and as a Trustee and Secretary of the Richland County Foundation, among many others. Jeff also believes that giving back to the legal profession is important. His service has included several terms as the Secretary of the Richland County Bar Association and as the Litigation Chair of its Certified Grievance Committee. He was elected and re-elected numerous times by his peers as a 22 year member of the Ohio State Bar Association's Council of Delegates. In 2017, he was honored as a Fellow of the Ohio State Bar Foundation, the charitable arm of the Ohio State Bar Association. He has also served on numerous OSBA committees and task forces. Currently he is a member of and a District representative for the Ohio Association for Justice — the only statewide organization of lawyers dedicated to protecting and fighting for the rights of ordinary citizens in Ohio’s civil justice system. 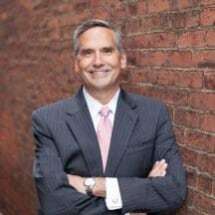 He also previously served on the Executive Committee of the Ohio Association of Civil Trial Attorneys and is currently a member of the Ohio State Bar Association, Richland County Bar Association and the Florida Bar. Jeff and his wife, Donna (Office Manager/CFO of The Heck Law Offices), make their home in the Mansfield area. They have 6 adult children and 5 grandchildren. Our dedicated team of experienced attorneys bring over 40 years of successful litigation and courtroom experience to offer a fresh outlook for all your legal matters. Regardless of the complexity of your situation, our team can provide you with a thorough evaluation of your case and current legal standing. To request additional information regarding our services, please reach out to our offices at your earliest convenience by calling 866-640-7560.